Wondering how to vote on our upcoming SAFE Mobility levy? 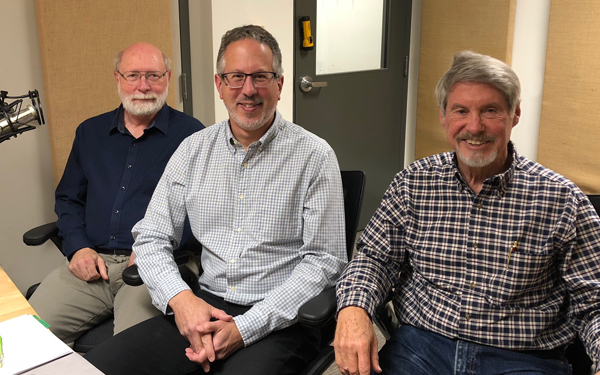 Listen here as Herb Hethcote and Doug Rauh, who helped draft the pro and con statements for our voters pamphlet, share their thoughts with COBI’s Mark Epstein and BCB’s Christina Hulet. This November, Bainbridge Islanders will vote on a $15 million Safe Access for Everyone (SAFE) Mobility Levy. If approved, it would fund shoulder improvements, better connected sidewalks, trails with a focus on safe routes to schools, and other improvements to support walking and biking. The cost of the levy for an owner of a $660,000 home — the median value on Bainbridge — would come to an estimated $185 in additional property taxes per year over a seven year period. In this podcast, Mark Epstein, Engineering Project Manager for the City of Bainbridge, shares how the levy came about and what the process would be for selecting and implementing projects, if approved. Also joining us are Herb Hethcote, who helped draft the “pro statement” and Doug Rauh, who helped draft the “con statement.” Together, we discuss the levy’s pros and cons and offer different perspectives for voters to consider as they cast their ballots. There are many opportunities to learn more about the levy. City staff are hosting a workshop on Thursday, October 11 from 6:30-8:30 at Island Center Hall. Information will also be available on your ferry commute and at the farmer’s market. Additional details can be found at the city’s website: https://bainbridgesafemobilitylevy.participate.online/.